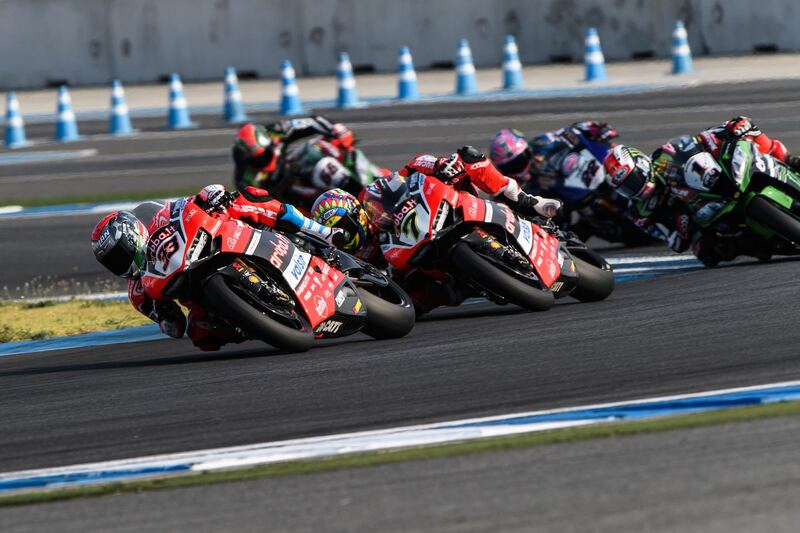 The Thai round in Buriram International Circuit has been important for Nolan Group riders with two more podiums for Chaz Davies and Marco Melandri with Ducati spread across the two races. Even after a red flag for a crash which involved two Nolan riders, Chaz & Lorenzo Savadori both fortunately well protected by the X-Lite 802RR! After which Chaz could only manage a 6th place finish with Melandri just making the podium in race 2 with 3rd place. It was an unlucky finish to an otherwise successful weekend, but with Melandri confident of closing the gap in time for Aragon so we can look forward to a sunny successful round in Spain!